Are you just getting started in managing an in-house SEO program for a brand or organization and not sure what SEO management tool to pick? Many of my clients are managing a program that does not include local SEO elements and/or they are on a budget (or building a case for an enterprise level tool). Most of the time SEMRush, Ahrefs and Moz are on their short list. If you’re in the same situation, this post will help you make a decision about which will work best for you. There are SEO software comparison tools online, but I personally find them confusing to use and a bit cumbersome to sort through. 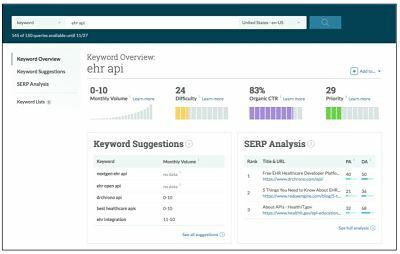 If you’re an SEO consultant and wondering which of the three big (non-enterprise) SEO management tools are worth your monthly subscription, this post should be helpful. 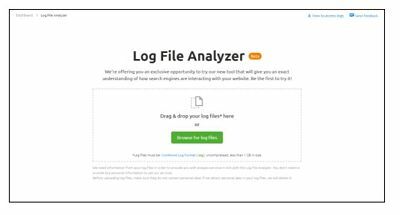 Below you’ll find a comparison and analysis of the top three SEO tools that I tend to recommend to clients which cover the wide range of SEO tasks (not including local SEO management) and are offered at a reasonable monthly fee. These also happen to be the tools professional SEO use most often. If you want more suggestions, please don’t hesitate to reach out and ping me directly. 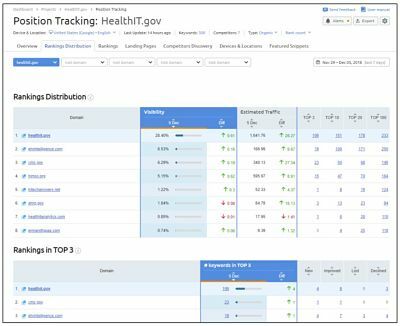 Each tool has a dashboard which gives a user an overall view of the site’s SEO health. I’ve outlined the features and user-friendliness of each below. 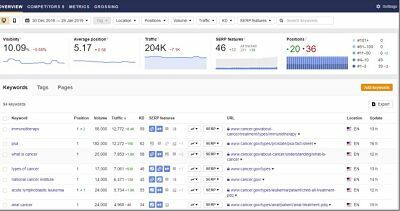 Tracks gain/loss of organic keywords and traffic over time (regardless of whether you add keywords into the dashboard, it will just pull all the terms you’re ranking for). Lists anchor text used in links to your site. Additionally, inside the Ahrefs Site Explorer tool (the top search bar), you can look at the ranking history of the site and individual page over time, and you can view competitor pages that rank for a particular term. 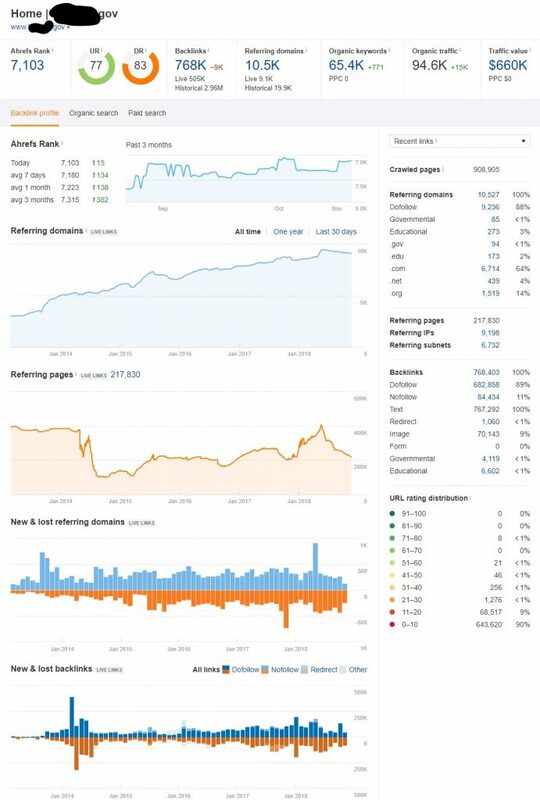 While Ahrefs has content improvement tools (like a keyword gap analysis), they tend to lead with link metrics and management. There are no direct insights here to take action on (unlike Moz, see below). Reliance on the user uploading tracking for the keywords to track (which is limited per plan). 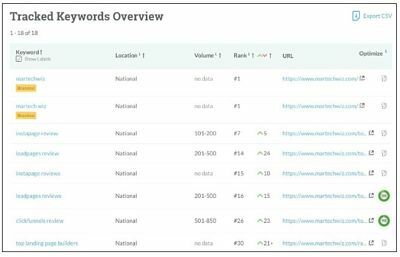 This is in contrast with SEMRush and Ahrefs which both show organic performance for keywords based on software crawling and pulling all the top rankings regardless of whether those keywords were added individually to track their rankings. 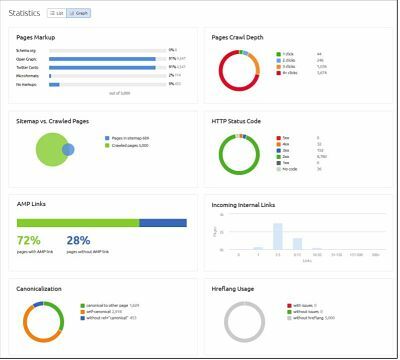 There are many features in SEMRush, and it takes a while to learn where certain reports are and to remember how to navigate to them. It’s helpful to have data and information comparing the accuracy of research tools because if the tool isn’t accurate, it won’t be of very much use for you and your business. 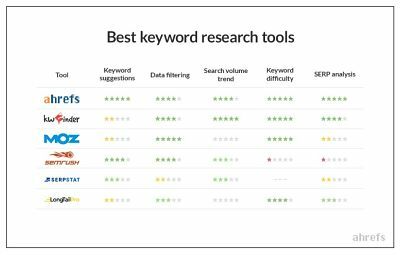 Here’s a recent report created by Brafton on the overall accuracy of the keyword research tools – how well the keyword research tools can predict where you will rank. Most of the time the tools call this a “keyword difficulty” metric. Ahrefs tool not only shows you the estimated monthly volume for a keyword but also tells you what the click-through rate potential is for that keyword based on clickstream data (Moz does this as well). 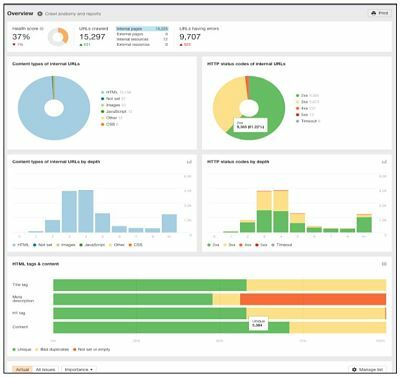 If you want to learn more about clickstream data, you can learn more here. 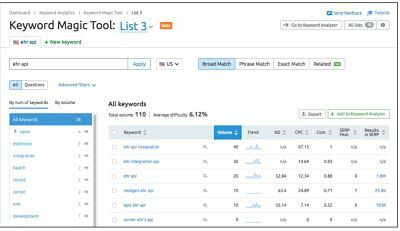 What Ahrefs includes in their keyword research tool is an estimate of how much traffic you will get for optimizing for a specific keyword, for each URL that is ranking in the top 10. That’s because each URL ranks for more than one keyword, so you could potentially get more volume for optimizing for that topic. Conversely, some users will NOT click on the SERPs indicating you probably don’t want to optimize for those keywords. 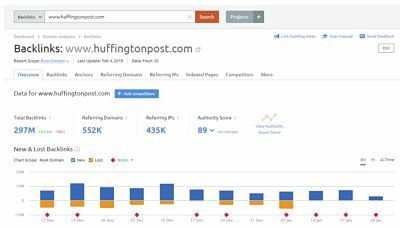 Ahrefs will also show you (like Moz) what the organic search opportunity is for a particular keyword – ie. how many people click when they use that query vs just overall search volume. 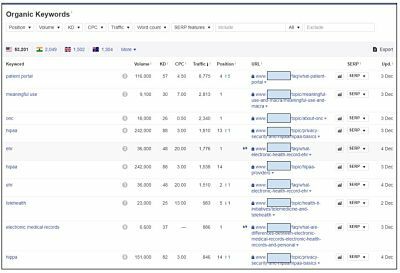 Ahrefs makes it incredibly easy to see the SERP features and has a visually attractive workflow for seeing the SERPs, which makes it easier to save keywords to lists. Ahrefs does not group keywords when you export, otherwise, it seems to show lower volume keywords than SEMRush. What I love about the SEMRush tool is that you can export the keywords with automatic keyword groupings, unlike Ahrefs. If you use the “Keyword Overview” feature in SEMRush (the default search box at the top when you log in that lets you look up data per keyword or domain) to look up a keyword and its volume, you might get their error that they don’t have any information about that keyword in their Google database. But, if you use the Keyword Magic keyword, it will pull with volume. 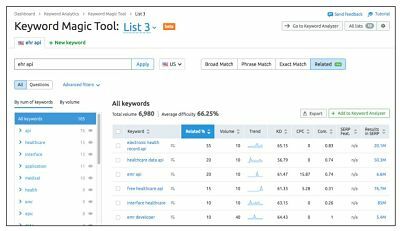 I personally find the SEMRush keyword tool not quite as easy to use (but that might be because I’m used to the Moz and Ahrefs tools). It’s a bit awkward to go from keyword to looking at the SERP, or seeing SERP features for that keyword at a glance. You can see that information when you click on their cached SERP per keyword. 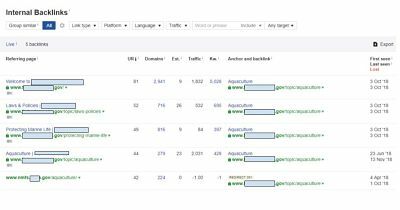 As you can see, it’s also heavily influenced by the fact that the tool supports paid search as well, as it lets you search by Broad, Phrase or Exact match. It also does not seem to have as many low volume keyword results as Ahrefs. Moz’s tool provides an organic opportunity for each keyword. These are calculated based on the number of organic listings for that term (vs paid listings or an instant answer) and the amount of organic click through on the SERPs for that term. Our volume score is the first volume estimation metric we know of that goes beyond what AdWords reports. We do that using Russ Jones’ volume bucket methodology and adding in anonymized clickstream data from ~1 million real searchers in the US. From there, Russ has built a model that predicts the search volume range a keyword is likely to have with ~95% accuracy. Moz doesn’t seem to have as many low volume, long tail, keywords. You also can’t export the keywords with grouping. The workflow of picking a keyword based on metrics, then looking at the SERPs to double check searcher’s intent before making a final selection seems cumbersome. All of the plans come with keyword query limits, and every time you put a keyword into the “keyword” search box you use up one of your queries – which is similar to Ahrefs. The keyword volume ranges are also harder to get used to if you’re familiar with the Google Adwords Keyword Tool. It’s easy to feel like Moz Pro is overwhelming because there is no clear user flow. 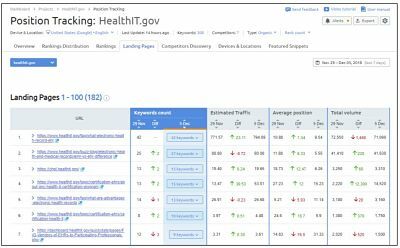 When optimizing a page for a topic, there’s a better chance of ranking if topic-related words and phrases are included with the target keyword. These phrases and additional words should line up with what Google would expect to see if you were covering the topic thoroughly. But how do you find those phrases? Each tool has a different approach. Run the Ahrefs Organic Keyword report, click on the drop-down next to the URL, then click on “Organic keywords.” Note the keywords that the page is ranking for. 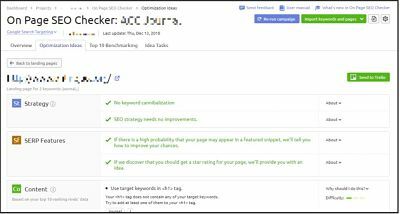 If the page does not include those phrases, simply edit the copy to include them (you can do this by looking at data inside Google Webmaster Tools Search Analytics report as well when you filter by page, then by queries). You can also do this for existing pages that are ranking. Once you put your keyword into this tool, it will generate complementary keywords that you should use in your copy based on the associated terms used in the pages ranking on Google’s page one. They will also pull the recommended text length and shared backlinks across those sites. A view of the SERP results at a glance is really helpful, which is exportable into a word template that looks like this. Monitoring Links and Brainstorming Link Building Opportunities. Ahrefs will show you the best pages by link growth – which could help you find popular content on your site that you could boost with additional promotion. 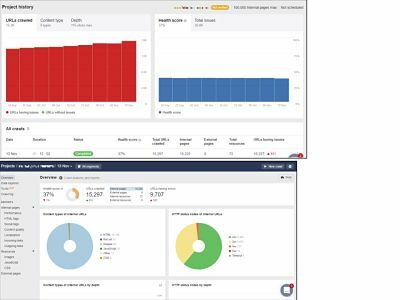 Run your competitor’s top pages by organic traffic and then pull both their internal and external link data. 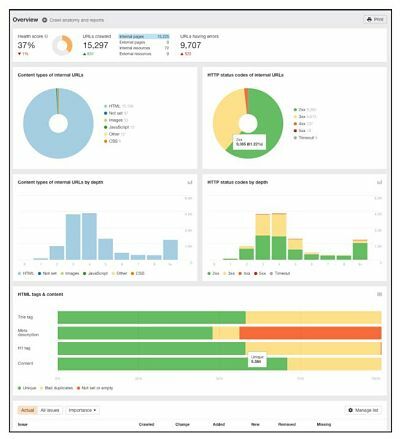 Then run your top ranking page and pull the internal and external ranking data. If you see that the competitor has pages that have high traffic but very few external links and few internal links, there’s a good chance that you can outperform that by building more internal or external links to YOUR page ranking for that term. While the keyword grouping feature seems amazing, it’s only available on the screen. 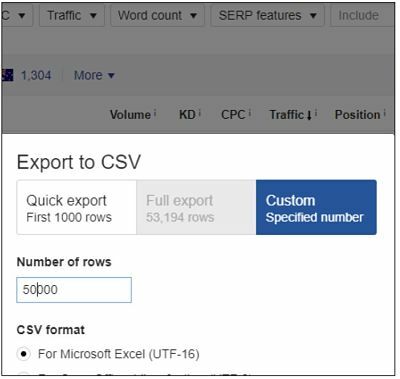 You can’t export into an Excel sheet that includes the primary keyword and the grouped/semantically related keywords. 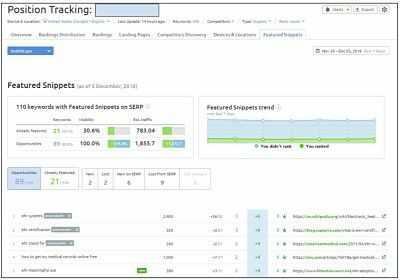 In SEMRush, you can run a backlinks gap analysis, an audit (to check for sketchy backlinks) and analytics on your backlinks to see which you’ve gained or lost. It’s nice that you can also compare competitors right in this interface. 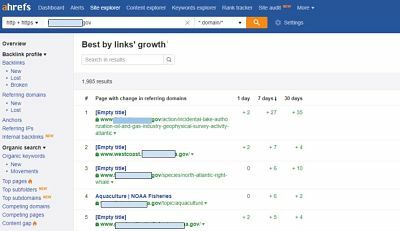 Both Moz and Ahrefs have other tools in Link Explorer which are useful if you’re proactively building links (especially considering that they seem to discover the most links). My favorite is the Moz Link Intersect tool. You can set up the tool to find sites/URLs that link to one domain (your competitor) but not another domain (you). I personally find that the workflow of Ahrefs is easy to learn and if you love to export data, then it’s good to know how easy it is to export from all of their reports. *Note. : ALL of the tools will limit how many data rows you can export from your site. SEMRush seems to have been spending quite a bit of time focused on content writing and improvement workflows. It shows in their tool as it’s really easy to find the data that is needed at each step of the content ideation and improvement stages. With Moz, tracking keyword performance isn’t retroactive. Therefore, if you just submitted a keyword it’ll keep tabs going forward, but you can’t check your ranking performance prior to that date. 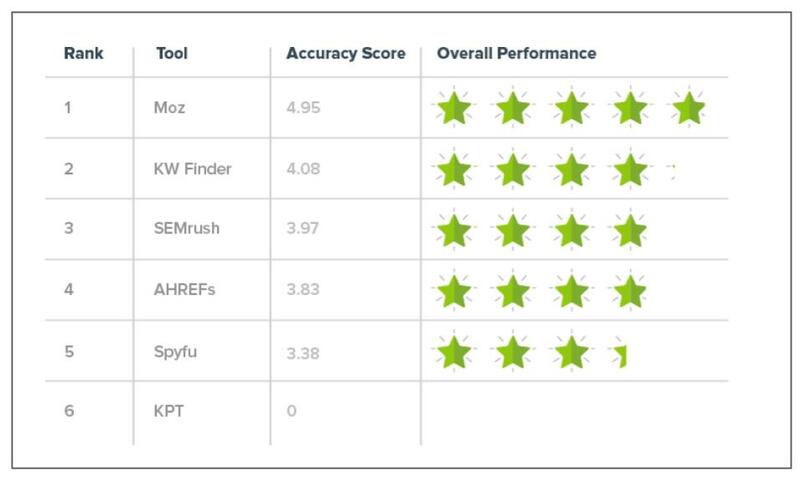 However, Moz provides on page optimization suggestions in the ranking report better than the other options. Ahrefs will let you crawl up to 100,000 URLs a month. For most companies, this will allow several crawls from a technical SEO perspective several times per month, but it depends on the size of your website. I have not found their crawl analysis to be as helpful as using ScreamingFrog or Deepcrawl, but both of those crawl tools are separate subscriptions and require additional technical know-how to use. In all of the tools, you can also schedule weekly crawls. Ahrefs now has a “to do” option where you can create tasks for all of the issues in each Ahrefs screen. That list is then exportable, allowing you to send the list to your developers. When Ahrefs crawls the site again, it will check your “to dos” and create a report for you of the items that have been completed. You can learn more about how to use their SEO site audit tool here. You can download the issues into excel as well as create Trello cards off of each ticket item right in the interface. The issues also have a “why” and “how to fix it” explanation for each issue, which I find incredibly useful. 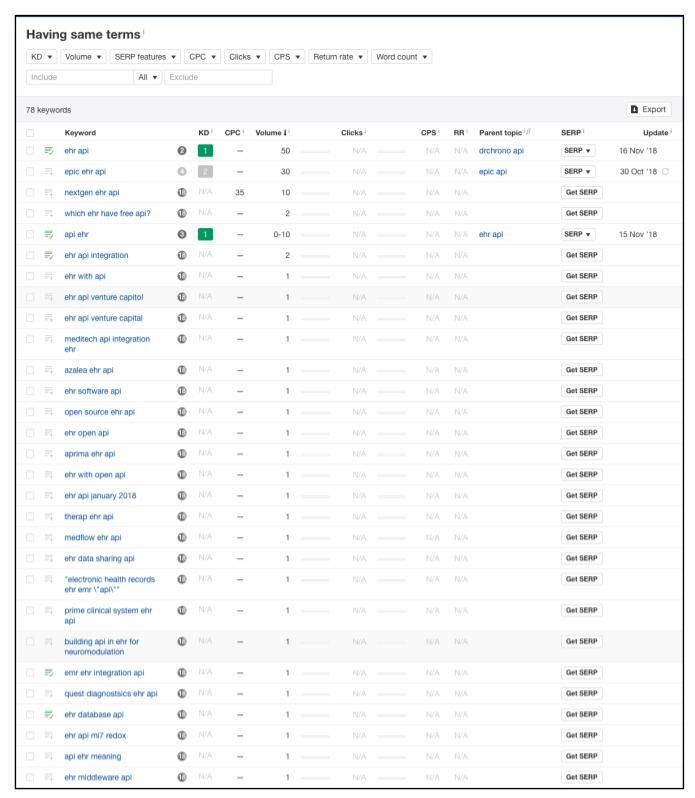 Moz’s on-demand crawl lets you crawl 3,000 pages. Data is exportable into Excel as well. 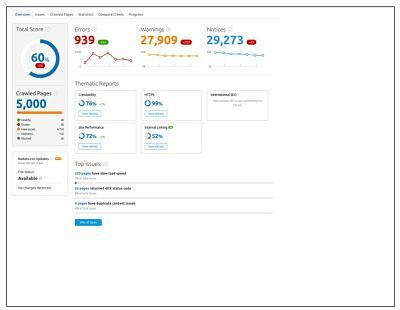 If you’re responsible for managing your business or organization’s SEO program, you should set up weekly alerts in the tools that you use. 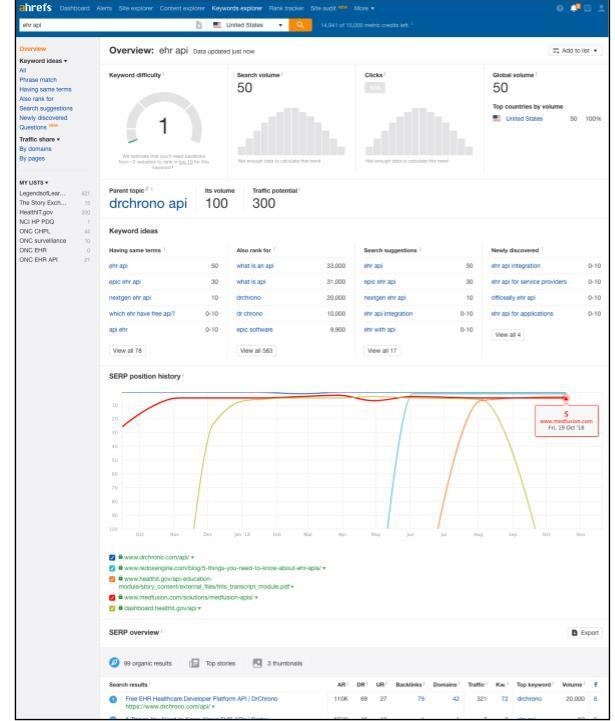 I always encourage my clients to set up Google Analytics intelligence alerts to notify you of traffic decreases from particular marketing channels, but setting up alerts in your SEO tools is a good idea as well. Some of the weekly alerts from the crawl portions of these tools can cause clients more alarm than is necessary. For instance, 404 (broken pages) happen all the time to websites and while you don’t want to break URLs that have inbound links to them, an alert (in red) telling you that your SEO is broken because of an overall increase in 404s can cause much more stress than is warranted. 404s are not a negative ranking factor and sometimes they are harmless. If you’re going to set up these technical crawl alerts, make sure that they are going to you as the SEO manager so that you can investigate the issue prior to bringing it up with your CEO or manager. I would not set up the alerts for those people to get these alerts directly – it will just increase their stress unnecessarily. Ahrefs has alerts when you set up a project. It will monitor when your brand terms (or your competitors) are being used online and changes to your content rankings. This assists you with link building and online mentions. 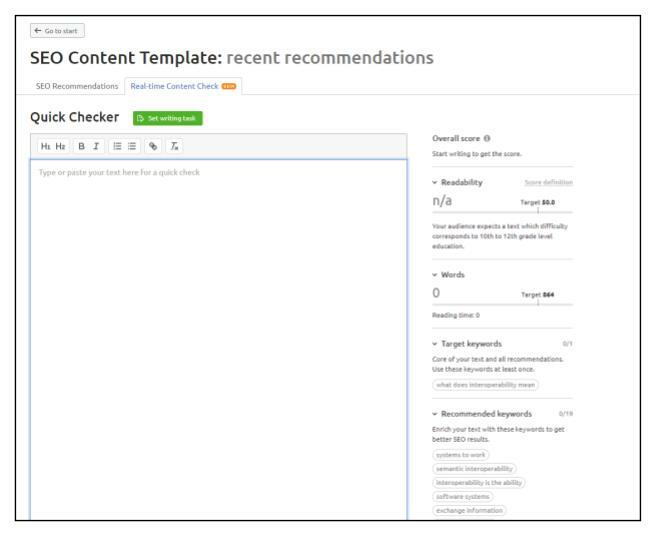 SEMRush lets you set up flexible alerts related to ranking adjustments. You can set up to 10 different alert triggers. Moz will send out emails based on your established campaigns. 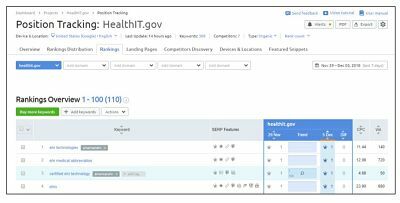 They include ranking and Fresh Web Explorer alerts (online mentions of your brand, a topic, unlinked mentions, or links to your competitors). One big factor in which tool is right for you is obviously pricing and what you get for your monthly subscription. The pricing differences are generally based on how much data you need to track or import per month. You can see the pricing differences of each tool below (additional comparison info in the footnotes below comparison). 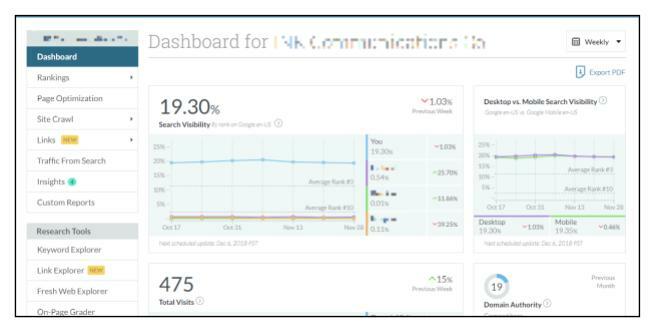 At the $249/mo level, Moz is only going to let you proactively track 1,900 keywords. At the $399 level with Ahrefs, you can track 5,000. 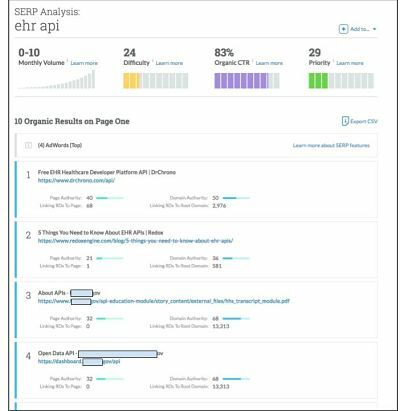 SEMRush lets you check your organic traffic data and ranking backward in time by a month. The other tools don’t let you do this for a website you haven’t already set up as a project. Additionally, there are discounts when you commit for a year. Moz Pro’s pricing ranges from $99 a month to $599 a month. If you pay yearly, you can save 20%. The most expensive plan gets you 100 tracked sites (campaigns); 7,500 tracked keywords, and 5 million pages crawled every week. You get white-labeled reporting and a premium level of support whenever requested within business hours. SEMRush’s pricing ranges from $99 to $399 a month. You can save up to $800 on the top package (17%) if you pay yearly. The most expensive plan, the Business plan, includes 200 tracked sites, 5,000 tracked keywords, and 1 million page crawls. To get mobile rank tracking in Ahrefs, you need to have the advanced plan at $399/month. 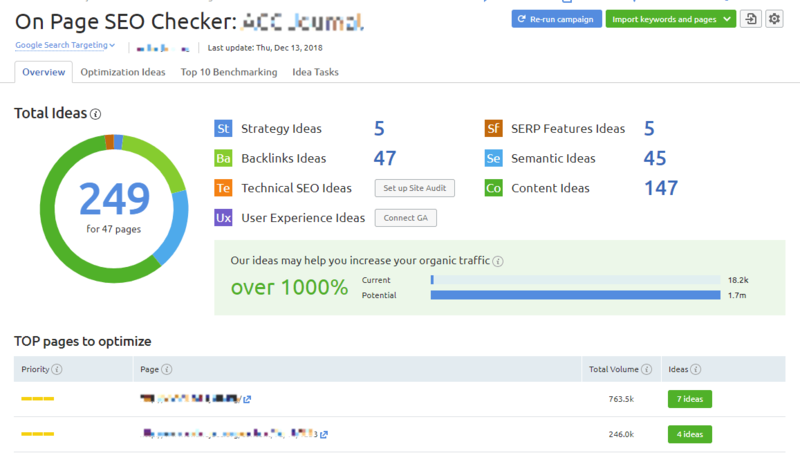 At that level, you can also track 5,000 keywords and you can see all of the organic keywords that Ahrefs finds in the Organic Keywords report. Learning a new tool takes time, patience, and there is always a learning curve. So what support and educational programs exist for each tool? Are they supportive, easy to use, and can you talk to a real human – or are forums the way to go? Let’s take a peek. Ahrefs has live chat, an active video channel with tutorials, a blog, a knowledge base, and a training series to help you learn its software. 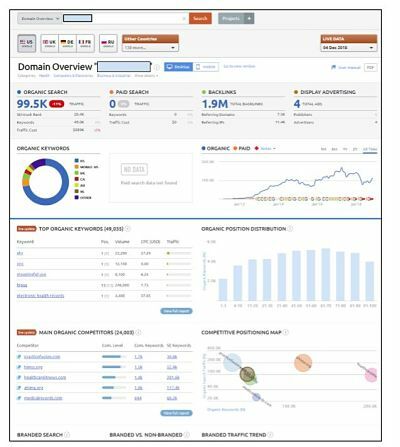 They also have a free browser plugin you can use that provide SERP overlays using their data. Ahrefs even has a video where they go over what they think makes them unique. SEMRush has live chat, a sales team that does demos, a knowledge base, games and quizzes, ebooks, webinars, blog posts, a weekly Twitter chat, and a podcast to help you learn more about SEO in general. and specifically their tool. SEMRush also offers to ghostwrite for you based on your key terms. Another bonus? 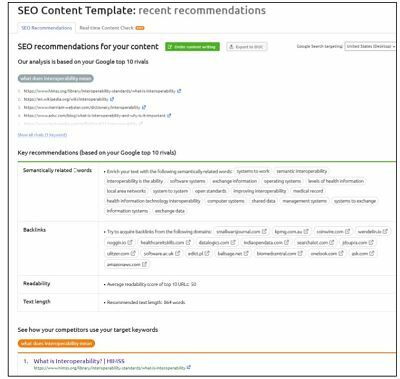 They have common workflows mapped out for new users to learn more about how to use their tool in their everyday SEO work. They also have a free Chrome plugin that can run a full SEO audit of a webpage in your browser. Moz has a blog, a forum, live chat, workshops, and training. I have to admit that I use the Moz toolbar more than most because I’ve been using the Moz tool longer. It provides an easy way to see meta title and descriptions along with canonical links and meta no-index information per URL. You can use this toolbar even if you’re just a (free) community member. As you can see from this analysis, all three of these tools are powerful in their own right. Some are really strong in some areas and not as strong in others. Picking a tool that works for you really depends on the type of site you’re working on and what area you’ll be focusing on the most when it comes to improving your SEO. If your upcoming SEO work is link-focused (internal and external) I usually recommend Ahrefs. 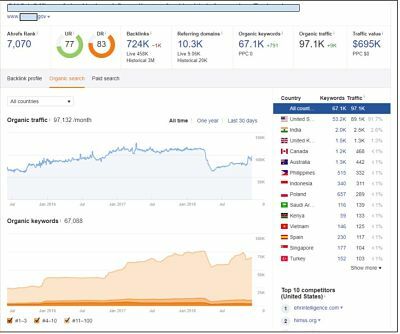 If you’re just starting out with a small site and want a user-friendly interface, I recommend Moz and if you’re content focused (constantly creating plans for writers or writing content for yourself) I recommend SEMRush. If you’re servicing clients, it’s tough. I’ve had subscriptions to all three and always have at least 2 of these tools active at all times. Good luck with your SEO tool selection!